Located just one block east of Penn Station, it provides easy access to all mass transit. Ample elevators: 6 passenger and 2 freight elevators New, operable, aluminum Thermopane windows Tenant controlled air conditioning units 24/7 building access. Strategically situated on the northwest corner of Sixth Avenue and West 31st Street, in the Penn Plaza District. Chelsea office space puts businesses at the heart of one of the city’s cultural cores. It is well-known by locals and tourists alike for its expressive and diverse culture, with more than 200 art galleries, nearly 2,000 options for food and drinks, and an array of both boutiques and big chains for shopping. For a neighborhood only a square mile in size, there’s something to satisfy every taste in Chelsea. Standout attractions include Chelsea Market, which attracts over 6 million visitors each year and was bought by Google’s parent company Alphabet Inc in early 2018, and the High Line, a 1.45-mile urban oasis. Both destinations have played significant roles in the revitalized growth of Chelsea, and turned the neighborhood into one of the most in-demand submarkets for office space in New York City. Chelsea is an ideal location for any business seeking to be at the heart of New York’s creative and entrepreneurial core. The established arts scene along with SUNY’s Fashion Institute of Technology attract an innovative and educated crowd with an average age of 25-40. Businesses have their pick of smaller offices in co-working spaces to luxurious, sprawling floors in brick and beam buildings. Based on recent commercial leasing data, the average asking rent for Chelsea office space is nearly $78 per square foot, slightly below the Midtown South average of $82 per square foot. The 14 million square feet of Class A Chelsea office space rents for more than $95 per square foot. Conversely, the average rent in the 10 million square feet of Class B office space for lease is slightly less than $55 per square foot, among the lowest figures available in Manhattan. Overall, Chelsea features more than 20 million square feet of office space inventory, with nearly 900,000 square feet under development. Tenants seeking even lower lease prices can explore office sublease options. These agreements are signed directly with current tenants, and tend to allow for less commitment than a traditional lease, where the norm is 3-5 years. However, office sublease do not offer the same assurances as working with a landlord does, so it’s important to negotiate sublease terms with a broker. Demand for Chelsea office space is high, and vacancy rates are among the lowest in the city. Given the steady job growth in New York, leasing activity and competition between landlords should continue to remain high. Reasonably priced and efficient offices will continue to attract the majority of demand, putting pressure on landlords to upgrade their properties, or offer competitive concessions packages. While Chelsea has a smaller tech presence compared to the neighboring Flatiron District, the notable presence of Google and Twitter — along with corporate offices of IAC (designed by Frank Gehry at 555 W. 18th Street), YouTube, Roc Nation, Venmo, and Uber — make excellent company for those looking to make the move. One of the most recent companies to move to Chelsea is Netflix, who signed a five year, 11,592 square foot sublease from Twitter for their first New York office space in the fall of 2017. Chelsea is easily accessible by residents of the five boroughs and nearby suburbs, thanks to several nearby public transit hubs, including Penn Station. 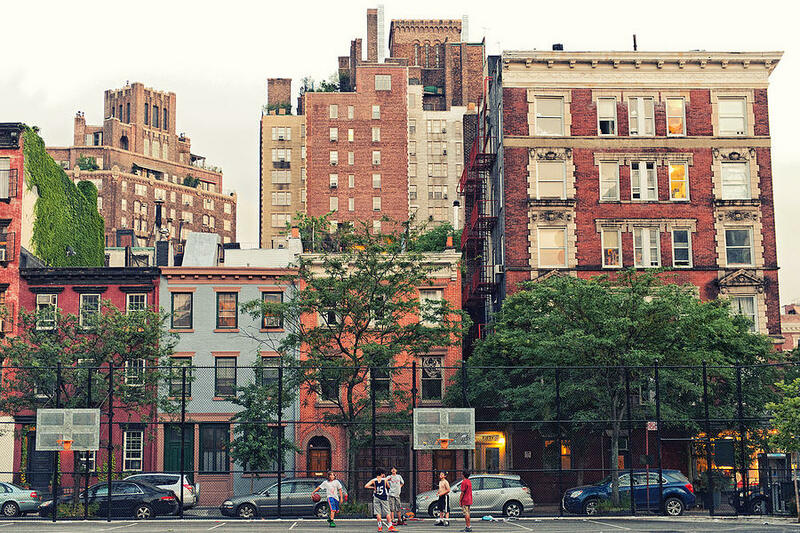 Once in Chelsea, most everyday needs are capable of being met within a five-minute walk. 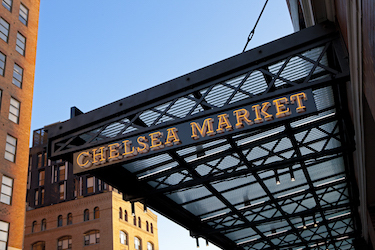 In addition to the variety of foods Chelsea Market has to offer, our team recommends Sweets by CHLOE, The Donut Pub, Momofuku Noodle Bar, Chelsea Brewing Pub, La Sirena, Rocking Horse Cafe, Sullivan Street Bakery, Salinas, and The Red Cat. For more info on where to eat and drink in the neighborhood, check out our Chelsea Lunch and Coffee Guides. Popular office buildings in Chelsea include 210 11th Avenue, 531 West 25th Street, 545 West 25th Street, 370 7th Avenue, and The Tate at 535 West 24th Street. Chelsea is one of the few Manhattan districts still named after the original estate, which grew into a hub for manufacturing companies. Arguably the most famous company was Nabisco, which was redeveloped into the Chelsea Market in 1998. Industrialization in the 1850s took advantage of access to the Hudson River piers and led to the construction of numerous warehouses, factories, lumberyards, breweries, and tenements. Many of these original buildings have been redeveloped for new businesses and apartments. The Chelsea Historic District was designated in 1971 and last expanded in 1982. Today, Chelsea is best known for its place at the center of the art world. The neighborhood boasts more than 200 art galleries of varying sizes, and their visitors are a huge source of revenue for local businesses. The galleries are another of Chelsea’s many unique perks to local employees. A major milestone in Chelsea’s continued growth in popularity was the completion of the High Line, a linear park build on a disused train viaduct that runs from Gansevoort Street to 34th Street near the Javits Center. Most of the rest of the viaduct had been demolished in 1960, and was effectively abandoned in the early 1980’s. Construction on the park began in 2006 and first opened to the public in 2009. An additional stretch near 10th avenue and 30th street will open in 2018. 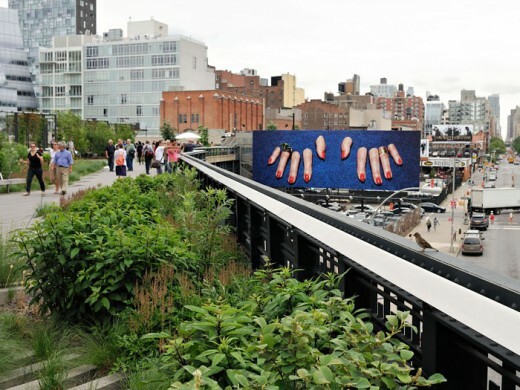 The High Line’s success has not only drawn foot traffic into the neighborhood, but served as inspiration to other cities looking to transform obsolete infrastructure into public space, and inspire adjacent real estate development. Chelsea’s residential and commercial real estate landscape continues to evolve, in part due to Google, WeWork, and the Hudson Yards Redevelopment Project. With projected completion in 2024, soon Chelsea will benefit from 16 skyscrapers containing more than 12,700,000 square feet of new office, residential, and retail space. The mix of businesses in Chelsea may begin to shift, as rent prices rise and demand for proximity to both Hudson Yards and the Flatiron District grows. Chelsea has an abundance of inspiring office spaces that showcase endless possibilities for remodeling a workspace. In 2011, a 100,000 square foot warehouse building was purchased by British theater company Punchdrunk to create a five-story performance venue “The McKittrick Hotel,” now home to the immersive, site-specific theatrical production Sleep No More, a staple of Chelsea’s entertainment scene. Slightly less elaborate, Google’s Chelsea office is filled with NYC-themed rooms and provides access to floors with ladders as well as elevators, the startup Outbrain is praised for its central conference room “The Fishbowl,” and YouTube has permanent production sets available to their creators. Chelsea is listed among the top 20 most walkable areas in NYC. Walkers have easy access to the High Line and Chelsea Piers, although with the influx of tourists many locals caution against riding a bike along the piers. Bikers will still find incredible ease in getting around Chelsea and have access to bike sharing with CitiBike. Commuters have no shortage of options to get to work. In addition to commuting through Penn Station, employees can take the A, C, and E trains on Eighth Avenue, 1, 2, and 3 trains along Seventh Avenue, or F and M trains on Sixth Avenue. Chelsea is also accessible by bus routes M7, M10, M11, M12, M14, and M23, and houses the main entrance to the 34th Street/Hudson Yards station for the 7 train. In addition to access via Amtrak and NJ Transit, commuters can easily access the PATH trains to Jersey City and Hoboken.